According to research, there are about 27 millions of entrepreneurs starting their business in the United States. No doubt, quite a few of them would need to hire IT services providers to build their web presence, develop software or implement startup ideas. The problem is that not all American entrepreneurs establish their ventures with enough personal funds to hire local help at least before their businesses start generating solid profit. 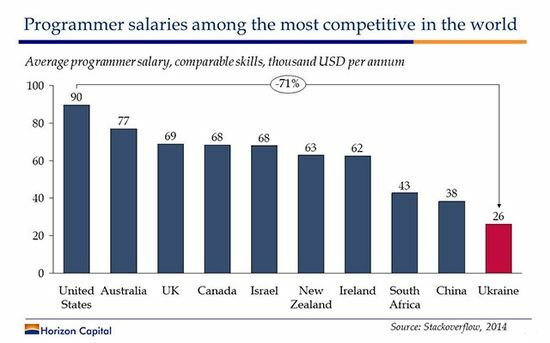 The USA is a high-income country which means the local workforce an entrepreneur hires is looking for decent fees and salaries to be able to live in the developed country known for its consumerism. The average salary of an American software engineer / developer / programmer is $73,031. So a new entrepreneur should be aware of rather high hourly rates of US-based developers who would definitely wish to keep their salary level of at least $4000+ per month. Needless to say that hiring full-time employees can be burdensome for a newly created company. Although it’s a very good idea to hire local help for your business, it could be a problem for founders with modest personal capital. Bootstrapping makes entrepreneurs cut down expenses as much as possible. Startup founders need to create their MVPs for attracting first clients and/or investors. Online retailers have to build functional eCommerce websites that will grow and evolve with their businesses. And all of them want to spend as little money as they can at the outset of their entrepreneurial career to optimize their costs. 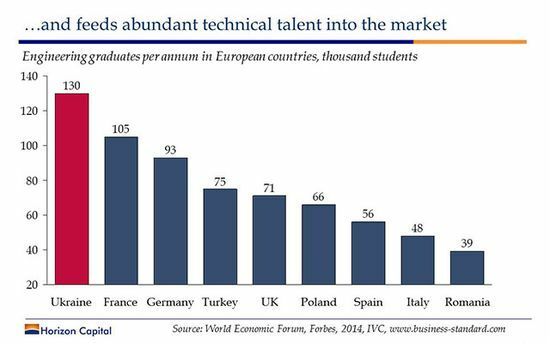 That’s why American, Australian and European early stage bootstrappers have to resort to outsourcing their IT needs to offshore teams in less developed countries where salaries are much lower compared to their countries. This helps entrepreneurs start lean and utilize available resources more efficiently and frugally to build a solid business foundation or pivot without losing a fortune. All too often outsourcing to cheaper labor countries is one of the best ways to beat the competition in developed countries like the United States. The first country that comes to mind when talking about outsourcing IT, web and software development services is, of course, India. This country is the major player on the global IT outsourcing market. India sold $167.0 billion worth of services of such kind in 2013-2014. However, there is another country that has recently emerged on the map of desktop and web-based software development outsourcing destinations. This country is Ukraine. And we are going to try to persuade western entrepreneurs that outsourcing IT work to Ukrainian programmers can be a wise and beneficial idea for their businesses. In 2012 earnings of Ukrainians on the biggest web employment platform Elance (today’s Upwork) exceeded USD 38 million and demonstrated the fourth global result and the first in Europe. 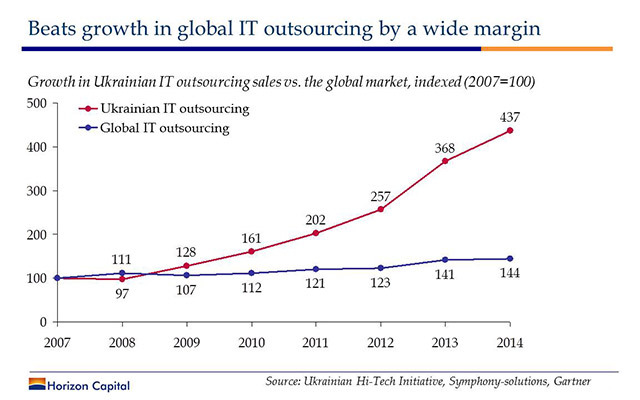 It was a strong signal of the rapidly growing IT outsourcing capabilities of a former USSR country. Unlike India, Ukraine had to get rid of the “iron curtain” in the 1990s to have a massive access to the global information technology and corresponding knowledge. The new-born independent nation needed to bring up a new generation and build the IT infrastructure from the ground up to grasp the cutting-edge trends in modern software and web application development. After the Soviet Bloc had collapsed, it took some time for the first Ukrainians to start providing low-cost IT services on the global market. 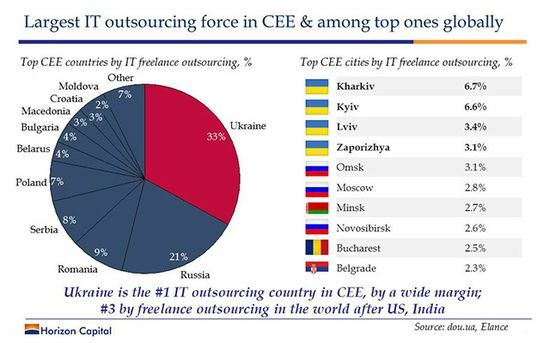 If India began to attract outsourced software development work from the USA in the late 1980s, Ukraine received its recognition as a popular IT outsourcing destination in 2000s. 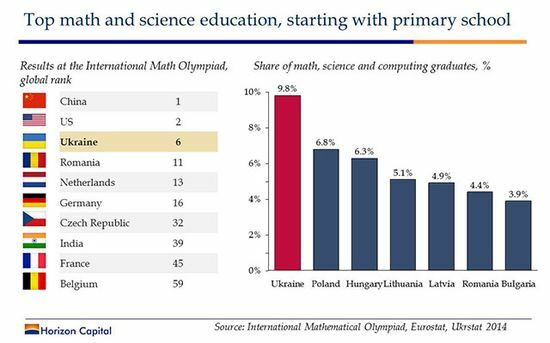 Luckily, Ukrainian people have a tremendous intellectual potential powered by decades of competition between the Soviet Union and United States. As a matter of fact, Ukraine used to be one of the biggest talent pools for the USSR. Ukrainian scientists and engineers were behind the outstanding accomplishments in the aerospace industry and astronautics including the world’s first satellites and manned space rockets. Ukrainian plants have designed the most advanced equipment for the Soviet military including the world’s most powerful and sophisticated intercontinental ballistic missiles. As we all know the Internet and the first computers were first created to serve military purposes too. In fact, one of the first electronic computers produced in continental Europe was built in the capital of Ukraine in 1952. So you can imagine how much intellectual capabilities a nation should have in order to help create and sustain a superpower competing with the highly developed Western world for decades. The Republic indeed has developed a strong network of scientific and educational institutions that keep on working today to prepare new generations of IT specialists for the modern digital era. Ukraine’s education is ranked 37th of 142 countries in Legatum Prosperity Index 2015 leaving behind the major IT outsourcing countries like India and China. You may not have heard much of Ukrainian scientists as the territory of today’s Ukraine used to be a part of different empires for a long time. Therefore, many scientists with Ukrainian roots are often called Russians. In times of the Soviet Union individualism was considered a vice. That’s why a lot of truly talented Soviet scientists and engineers remained unnamed cogs in the machine. However, there are a few engineers, scientists and inventors of Ukrainian origin who are well known to the international public: Igor Sikorsky (aviation pioneer), Sergei Korolev (leading rocket engineer and designer of the Soviet Union), Vladimir Chelomey (Soviet mechanics scientist, aviation and missile engineer), Yuri Kondratyuk (pioneer of astronautics and spaceflight), Georgy Voronoy (mathematician, author of Voronoi diagram) and others. Fortunately, the cold war is over and Ukraine has managed to get away from the totalitarian regime preventing the nation from cooperation and friendly relationships with the Western countries and particularly the United States. Using its intellectual assets and traditions, young Ukrainians set to enthusiastically learn software and web development to serve both national and international markets. The first Ukrainian independent software development companies emerged in the 1990s. Taking into consideration the above-described potential as well as the 99.8% literacy rate of the country, a strong thirst for new knowledge and affordable service costs, it’s not surprising that Ukraine has become one of the Europe’s leading providers of IT services. 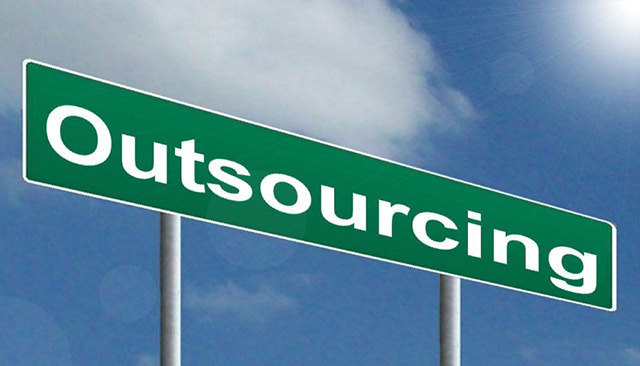 In 2007, the country joined the list of top 30 outsourcing destinations and it keeps its momentum high. 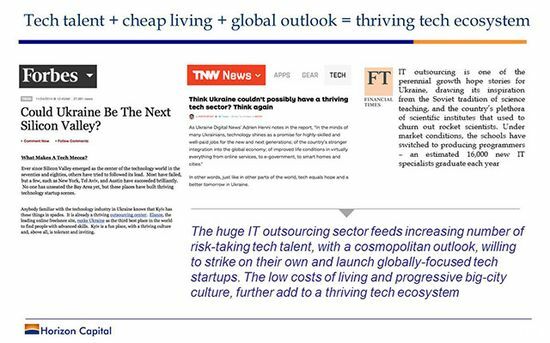 According to “IT Outsourcing News” Ukraine claims Europe’s No.1 outsourcing and software development powerhouse with nearly 100 000 programmers serving thousands of companies all over the world in 2016. There are at least a few reasons why an American or European entrepreneur would want to outsource his/her software or web application development needs to Ukrainian programmers. A huge intellectual potential and affordable workforce offered by Ukraine could not leave the country unnoticed by both bootstrapping entrepreneurs and high-fly corporations as the demand for IT services is steadily growing on the global market. 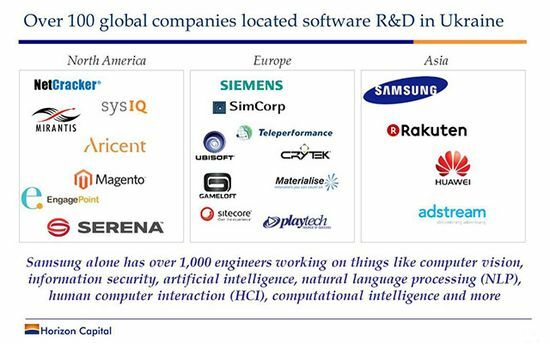 Ukrainian programmers work for such household enterprises as Oracle, Samsung, Cisco and many other businesses that considered it to be a wise decision to outsource their programming and R&D needs to Ukraine. More than 100 companies have opened their R&D centers in Ukraine including well-known NetCracker Technology and Magento. There are more than 1000 successful startups wholly or partly developed by Ukrainian programmers including Cupid Plc, Depositphotos, Grammarly, Jooble, Readdle, Looksery, VoiceBase. 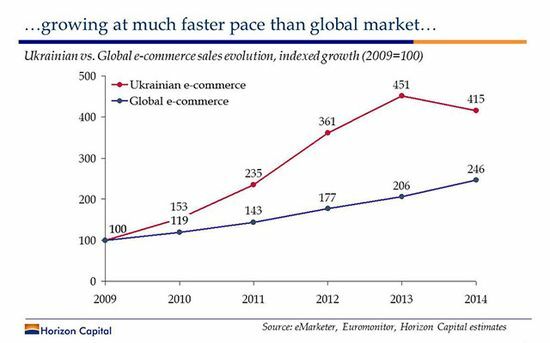 Ukraine can boast of highly successful eCommerce businesses created and maintained by domestic IT experts. Some of the best known are Rozetka, ModnaKasta, Prom.ua, allbiz. The ample experience of local programmers has helped the country to implement large domestic projects in online retail (the second fastest-growing in Europe in 2012), e-ticketing, online banking and even e-government. Many international startup founders are attracted by Ukrainian programmers’ professionalism and affordability. Lots of them come to Ukraine in order to have their online business built, launched and propelled by local workforce because developing the same project in a country like the United States would cost five to ten times the price that Ukrainian software and web programmers can offer. Around 16,000 IT specialists graduate from Ukrainian universities each year. Today there are nearly 100 000 of Ukrainian programmers working behind the scenes of thousands of businesses across the world to engineer and maintain their success. The government of Ukraine and some country’s major IT companies plan to invest $1 billion to double the number of active IT specialists by the year of 2020. Ukrainians are engaged in mobile, software and web projects being developed for big and small companies both inside and outside the country. The majority and namely 80% of IT projects are outsourced to Ukraine from the USA which means that Ukrainians are trusted by the state that sets the pace of the world’s technological evolution. It also means that Ukrainian software and web developers have the access to the cutting-edge tools and technologies which are necessary to make it possible to deliver world-class IT solutions to the most demanding markets. The experience accumulated over the post-Soviet years has allowed Ukraine’s software development industry to reach the export volume of almost $2.5 billion in 2015 with just a fraction of the country’s potential. It makes the information technology industry the number 3 export sector of Ukraine. Nowadays Ukrainian programmers successfully compete with their Indian and Chinese colleagues in the entire spectrum of IT services. 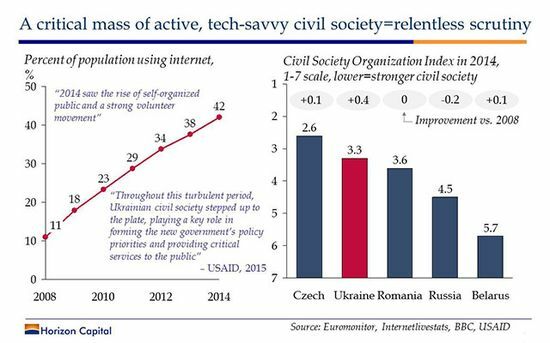 Since the fall of the Iron Curtain, Ukraine has been rapidly developing its infrastructure to provide the fast Internet connection and telecommunications to millions of users. With its 19 million Internet users, Ukraine was among Internet Top 10 countries of Europe in 2015. So millions of Ukrainians can use the World Wide Web to learn and share their experience in any sphere of life including the latest trends in science, telecommunications, programming, web and mobile apps development, big data etc. Ukrainian IT specialists do not experience any problems either with the Internet speed or with the access to all hardware and software they need to be able to implement projects for international customers. Ukraine is a European country bordering with the European Union. Even decades of the Soviet era could not eradicate the European mentality of Ukrainians. When pressed by Russia, the former Ukrainian president Viktor Yanukovych had broken his election promises of stronger integration with the European Union and brutally quelled students’ protests, he was ousted by a massive revolution known as Euromaidan. Quite a lot of IT people were among the first Ukrainians to support the European choice of the country that would give the nation a chance to beat corruption and establish democratic rules in many spheres of life. Unfortunately, the pro-West revolution had led to Russia’s intervention in Crimea and the East of Ukraine which resulted in thousands of Ukrainians killed in the conflict. Nevertheless, Ukrainian people took up arms to protect their land and European endeavors. It took a lot of blood and tears for Ukraine to ultimately get rid of the non-democratic Soviet legacy and establish the course towards the Western world values topped with human rights protection, freedom of speech and equal opportunities through fair business practices. 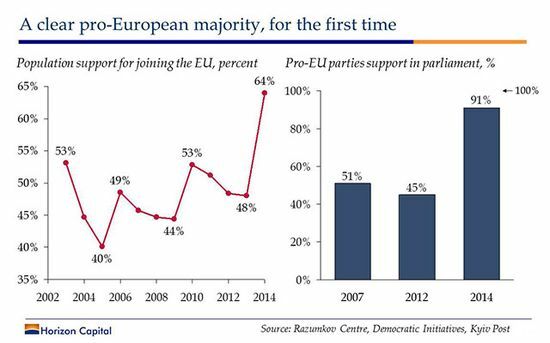 The majority of Ukrainian people strive to be a part of the global democratic society. The post-Soviet generation has developed a democratic frame of mind and urgent desire for positive changes in the country following the best practices and values of the Western world. Ukraine is a secular country where the majority of the population do not consider themselves religious or cannot clearly identify their church allegiance, and the church is separated from the state. However the country tolerates all religions, so all the major religious communities are present in the country. Just as in the United States, Canada, the European Union and Australia, the majority of religious people in Ukraine are Christians (Eastern Orthodox, Catholics, Protestants). The second largest religion in Ukraine is Islam, representing 0.6% of the religious population. The third largest faith is Judaism (0.2%). All other religions make up 9.9% of the religious people of the country. The majority of programmers and other IT specialists in Ukraine belong to the younger generation which is mentally close to Western countries. They understand and appreciate the values of American and European entrepreneurs. Therefore, the entire Ukrainian IT industry applies all efforts to meet clients’ expectations and create a positive image of the country as one of the world’s biggest IT outsourcing hubs. After the pro-European revolution, Ukraine has entered the new age of relationships with the West. The new government has proclaimed the course towards democratic and liberal values advocated by the modern European civilization Ukraine proudly belongs to. Although the drastic reforms are slow in Ukraine, the shared values and interests promise big chances for tightening relationships between Ukraine and developed democratic countries such as the United States of America, Canada, European countries, Australia and Japan. Russia’s “hybrid war” against Ukraine as well as its massive anti-American rhetoric of recent years have raised concerns about possible economic or even military aggression against European/NATO countries from Russia. Taking into consideration some of the Russia’s powerful allies, the United States are not safe too. At least economically. Unfortunately, two of the most popular outsourcing countries, China and India, happily partnered Russia to create an association of five major emerging national economies: Brazil, Russia, India, China and South Africa (BRICS). Although BRICS was established to encourage commercial, political and cultural cooperation between the five countries, it serves as a global financial institution accumulating funds to rival the western world economy. And it does not sound like a good kind of rivalry. The Governor of the Russian Central Bank has already voiced worrisome plans of the BRICS association saying that “BRICS partners the establishment of a system of multilateral swaps that will allow transferring resources to one or another country, if needed… If the current trend continues, soon the dollar will be abandoned by most of the significant global economies and it will be kicked out of the global trade finance.” It may sound implausible, though, but what makes the BRICS alliance particularly dangerous for the USA and EU is that their huge bank makes it possible for Russia, a country ruled by an overtly anti-West government, to access colossal funds that Russians can use as a leverage against the Western countries. It’s an unfortunate situation when every dollar invested by an American entrepreneur into India or China, even by hiring a programmer in there, can be used by these countries’ aggressive partner to create troubles for the Western world and especially the United States. We can only hope that Russia will stop relapsing into the Cold War era or at least other powerful countries won’t support its hostility towards the West. After all, we, the IT people, are one of the first to suffer from conflicts and crises in the developed countries. We really want world’s nations to live in peace and mutual respect. Our company, QuartSoft Corp., was created by a group of Ukrainian web developers and designers. We have registered an office in the United States but the core of our design and development team is still located in Ukraine. We are proud of being a part of the ever-growing IT community of Ukraine. We are happy with a stunning evolution in our country’s information technology industry, and we hope for the new positive developments in the field as the Ukrainian government starts to pay more attention to local programmers and R&D personnel that help fuel Ukraine’s economy. We are one of many Ukrainian IT teams that gladly work with international customers and partners who outsource their web design and development needs to offshore service providers based in less expensive countries. Using our own resources as well as friendly connections all around Ukraine, we are able to launch and propel web-based projects of any complexity. Our client base includes online startups, eCommerce entrepreneurs and the entire range of companies needing a high-quality web presence to attract more customers and expand business activities. We firmly believe that cooperation between the Ukrainian IT community and international entrepreneurs will help our country develop economically and technologically. 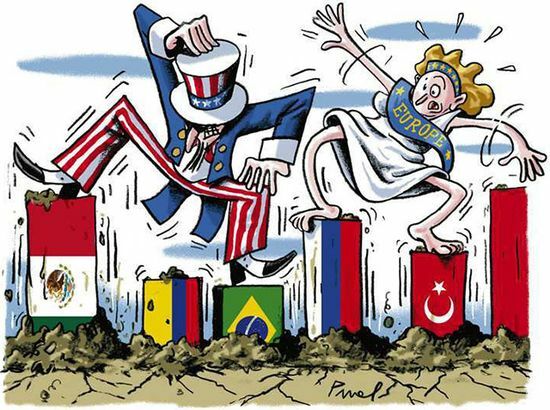 Friendly, rich and developed Ukraine is beneficial for the Western world in many ways. 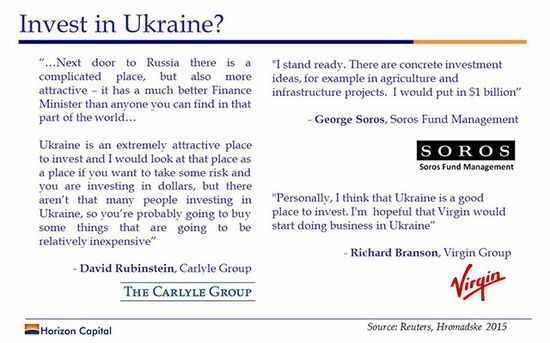 First of all, Ukraine is a large market with an enormous investment potential. It’s also a country with one of the most combat-ready military in Europe. Being pro-European, Ukraine serves as a strong shield for many EU countries protecting them from many destabilizing factors caused by aggressive anti-West governments. A constantly improving experience in the IT industry will help Ukraine become a reliable strategic partner and ally for the United States and EU in terms of both cybersecurity and developing a thriving and stable society in the East European state following a successful model of democratic countries. And, of course, when working with Ukrainian software programmers, web developers and R&D labor, the western customers can save their IT budgets without compromising on quality.